Galaxy S9 and Galaxy S9+ have been unveiled ahead of the Mobile World Congress (MWC) 2018 in Barcelona on Sunday. The new Samsung Galaxy S9 series smartphones feature improved cameras with variable aperture sensor on the primary rear camera, and the Galaxy S9+ sports dual rear camera setup. Other new features on the handsets include face recognition and AR Emojis, Bixby Vision, AKG-tuned dual speakers, reduced bezels on the top and bottom, and faster processors. As for the release, Galaxy S9 and Galaxy S9+ launch date is March 16 in select markets, and pre-orders will begin in the US on March 2. The two handsets will be available in Midnight Black, Coral Blue, Lilac Purple, and Titanium Grey colours. The Samsung Galaxy S9 price in the US starts at $719.99 (roughly Rs. 46,600) for the unlocked model, or $30 (roughly Rs. 1,950) per month on a 24-mont h financing option, while the Samsung Galaxy S9+ will be available at $839.99 (roughly Rs. 54,400) for the unlocked model, or $35 (roughly Rs. 2,300) per month on the 24-month financing option. The highlight of the Galaxy S9 and Galaxy S9+ is the dual aperture setup on the primary rear camera sensor, which is capable of shooting at f/2.4 when there's ample light, but can switch to f/1.5 when the phone detects low-light conditions. Samsung says this enables the Galaxy S9 and Galaxy S9+ to capture 28 percent more light compared to the Galaxy S8, adding that a new multi-frame noise reduction feature results in up to 30 percent less noise compared to the previous flagship. The other headline feature of the Samsung Galaxy S9 and Galaxy S9+ camera is the super slow-mo camera that works similar to what we've seen on Sony's recent flagships. The phones are capable of recording 960 frames per second, wh ich means 0.2 seconds of footage is stretched out to 6 seconds when you are playing it back. You can export this footage as a GIF or use it as an animated wallpaper on the phone. As leaked ahead of Sunday's launch, Samsung is also introducing AR Emoji, its answer to Apple's Animoji with a few key changes. 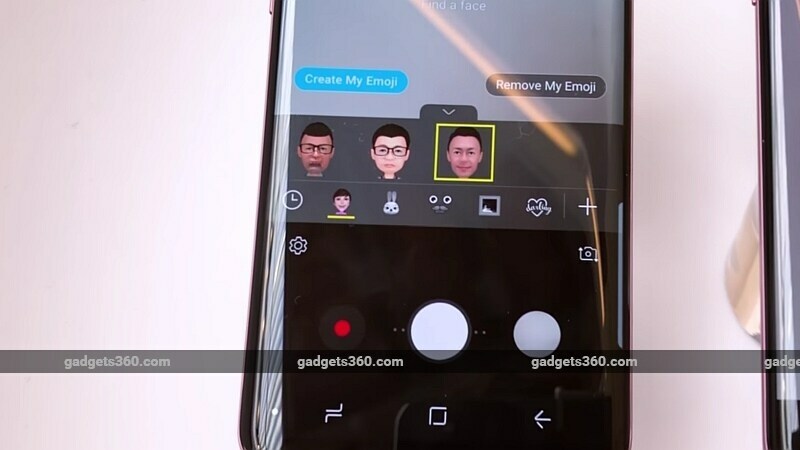 Unlike Animoji, which maps your facial expressions onto regular emojis, Samsung's AR Emoji is meant to be a virtual avatar of sorts that lets you click a 3D picture of yourself and turn it into customised emoji. You get 18 different expressions/ emojis that can then be used via the keyboard app on the Galaxy S9/ Galaxy S9+ in any app and be shared with other users irrespective of the phone they are using. The final camera-related improvement on the Galaxy S9 and Galaxy S9+ is the introduction of Bixby Vision in the camera app that will now offer live translation features, the ability to recognise the buildings and other places in a frame, and even look at the food in your frame and provide information like the amount of calories in the item, a feature that will be available only in select regions. Another upgrade is the presence of dual speakers on the Samsung Galaxy S9 and Galaxy S9+ (tuned by AKG Acoustics) with one downwards firing speaker, and the earpiece doubling up as the other channel. This setup, Samsung says, results in sound that's 1.4 times louder than the Galaxy S8. All this is backed by Dolby Atmos for surround sound, with a toggle in Quick Settings enabling this enhancement for any kind of audio content, according to Samsung. Though the Galaxy S9 and Galaxy S9+ look virtually identical to their predecessors, they do pack some important changes. Arguably the most important one is the decision to shift the fingerprint scanner from the side of rear camera sensor - a decision that caused plenty of problems while using the Galaxy S8 and Galaxy S8+ - to below the camera module, which fixes what was probably our biggest complaint with the previous generation Samsung flagships. Samsung says it has reduced the size of the bezels at the top as well as bottom, done a better job of hiding the iris scanner at the top of the display, and made the screen darker, which means it blends in better with the rest of the body. What's more, the iris scanner and the face recognition now work together, which means you should have better luck authenticating yourself - at least in theory - when your face is partially covered. The Galaxy S9 duo is powered by a 10nm 64-bit octa-core SoC (2.7GHz Quad and 1.7GHz Quad in some markets, 2.8GHz Quad and 1.7GHz in other markets) and and will be available in 64/ 128/ 256GB storage options with support for up to 400GB microSD cards. You get the Android 8 Oreo experience out of the box and IP68 water + dust resistance as well. Connectivity options include Gigabit LTE, dual-band Wi-Fi 802.11ac, USB Type-C, Bluetooth 5.0, NFC, and, yes, the 3.5mm headphone jack. Both phones have an identical 8-megapixel autofocus front camera f/1.7 sensor. The Samsung Galaxy S9 features a 5.8-inch QHD+ Curved Super AMOLED 18.5:9 display, 4GB of RAM, a 3000mAh battery, and a Super Speed Dual Pixel 12-megapixel autofocus f/1.5-f/2.4 sensor with OIS. It measures 147.7x68.7x8.5mm and weighs 163 grams. 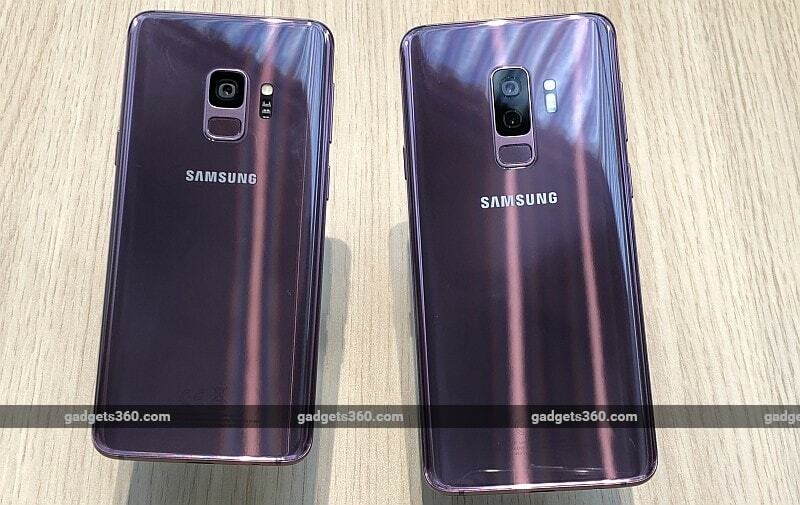 Meanwhile the Samsung Galaxy S9+ packs a 6.2-inch QHD+ Curved Super AMOLED 18.5:9 display, 6GB of RAM, a 3500mAh battery, a dua l rear camera setup with dual OIS, specifically a wide-angle lens with Super Speed Dual Pixel 12-megapixel autofocus f/1.5-f/2.4 sensor and a telephoto lens with 12-megapixel autofocus f/2.4 sensor. It measures 158.1x73.8x8.5mm and weighs 189 grams. 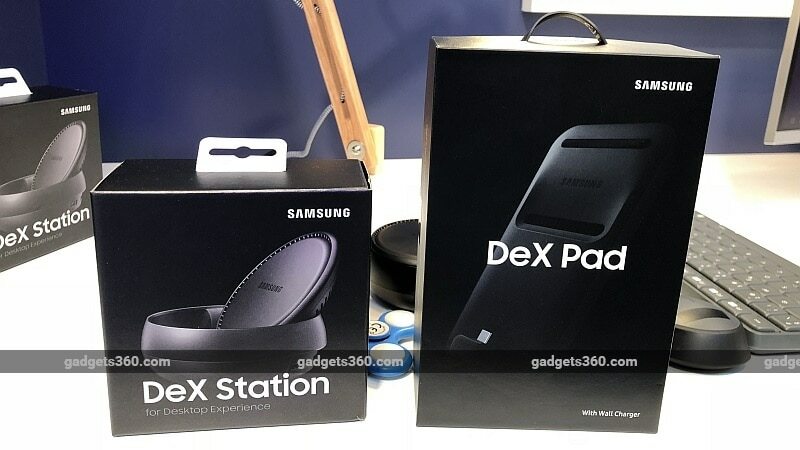 Apart from support for the Samsung Dex software platform, which let users utilise the Samsung Galaxy S8 and Galaxy Note 8 with a monitor and a mouse, the Samsung Galaxy S9 also supports the new Dex Pad. This new accessory lets users utilise the displays of the Galaxy S9, Galaxy S9+, Galaxy S8, Galaxy S8+, and Galaxy Note 8 as input devices for their connected Dex experience. This means, the Galaxy S9 and Galaxy S9+ can be transformed i nto a touchpad and touch keyboard when connected to a monitor and the Dex Pad. The Dex Pad comes with its own HDMI cable, wall charger, and data cable. Disclosure: Samsung sponsored the correspondent's flights and hotel for the launch event in Barcelona. Editor by day. Editor by night. Wannabe writer. Full-time cynic.